Towards the end of 2017, Secretary of State for Communities and Local Government Sajid Javid announced plans to make buying and selling homes ‘cheaper, faster and less stressful’. Amongst his proposals was to clamp down on ‘gazumping’ which sees a buyer lose out on a property at the last minute after a higher offer is received. Here, Jonathan Williams, partner specialising in property law at Roythornes Solicitors, explains why putting a stop to gazumping will not prevent bad buyer and seller behaviour. Government proposals aimed at outlawing gazumping – the practice whereby potential purchasers outbid other people who have already made an offer – will not prevent bad behaviour by house sellers and buyers. The real issue when purchasing and selling a home is not the cost of legal fees when sales fall through, but the current shortage of housing and people’s general lack of understanding of how the conveyancing system works. According to latest statistics 200,000 transactions collapse each year, leaving would-be buyers with bills for surveys and legal fees to pay on the dream homes they have lost. 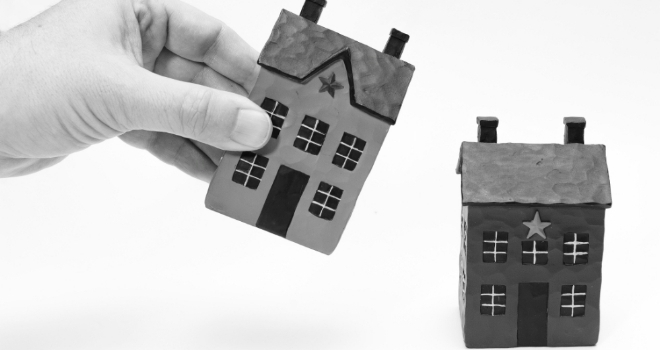 Yes, it’s true that people do sometimes lose money during the selling and buying process, but it’s only a small problem when we consider the much bigger picture – in over thirty years as a conveyancing solicitor I have not seen a huge amount of abortive transactions. We need to remember that people move house for all sorts of reasons – some planned, some not. A seller’s first port of call is an estate agent, not a solicitor, so invariably the house will not be ‘oven ready’ when it goes on the market. Anyone can set themselves up as an estate agent. Unless the seller has appointed qualified surveyors or land agents, there is always a chance that the estate agent will not have noticed defects in the title deeds or the absence of essential paperwork needed to make a successful sale. Conveyancing transactions are not just plagued by a lack of preparation, but also by offers taken from people who do not have the means to buy. Until a mortgage offer is issued there is bound to be uncertainty. A chain only moves at the pace of its slowest link. It’s like joining a train heading for one destination; people board at different stations, all to arrive at the same time. But with conveyancing some people might lose patience with the process, get tripped up or be unable to raise a mortgage, so they will get off the train early. It is said that Scotland’s system of sealed bids promotes early commitment but I suspect this also means that any issues are discovered later, with parties then left to look for reasons to back out. At least our system, although not perfect, allows us to address any problems first and then commit. The Council of Mortgage Lenders’ handbook runs to many pages, and includes the basic requirements for every mortgage, plus the individual points lawyers must satisfy before a home loan can be completed. Conveyancing has become more onerous and time consuming, with the risk management required for lawyers, buyers, sellers and mortgagees adding further expense. In my view it’s not worth the Government banning gazumping to try and fix a system which although not ideal is not broken either. The fact is that moving home and getting the best price for our properties are highly emotive issues, and will remain so regardless of the rules around one annoying practice. Why not instead educate potential buyers and sellers on better preparation and seeking good and informed counsel.